Miriah will be speaking at the OpenVis Conference, May 14, on "Designing Effective Visualizations." Miriah and Danyel will be presenting a tutorial at the O'Reilly Strata London Conference, May 22. There will also be a "Meet the Experts" session and a book signing. 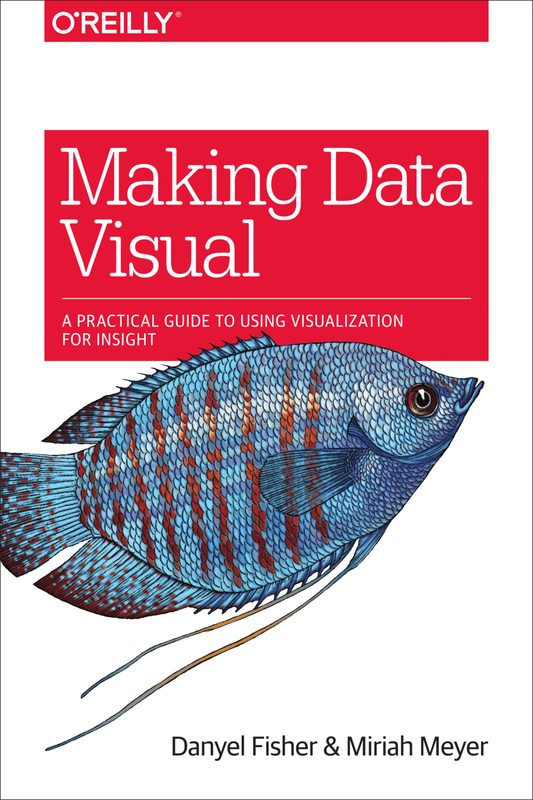 The figures from Making Data Visual are at the book's Github site. Miriah and I were interviewed on the "Data Stories" podcast. This is often the impression that we, at least, are left with after reading data science case studies. But in our experience, this does not match the reality of visual data analysis. It takes hard work, and trial and error, to get to an insightful visualization. We start by thinking about what we want to know, and we refine fuzzy questions into actionable, concrete tasks. We clean, reshape, and restructure the data into forms that we can put into a visualization. We work around limitations in the data, and we try to understand what the user wants to learn. We have to consider which visual representations to use and what interaction mechanisms to support. Along the way, we find other variables that tell us more about the dataset and that help clarify our thinking. And no single visualization is ever quite able to show all of the important aspects of our data at once— there just are not enough visual encoding channels.